This 59-year-old woman was seeking breast enhancement, wanting larger breasts that still looked natural. Dr. Adam Augenstein utilized the submuscular breast augmentation surgical procedure with Sientra implants through a small incision in the fold of her breasts. This 34-year-old women from Charlotte, NC had a bilateral breast augmentation with Allergan Natrelle Inspira implants by Dr. Augenstein. She wanted to improve the appearance of her breasts and desired more fullness. These photos were taken 1 year after her surgery. 22-year-old Mooresville, NC mother underwent a breast with Allergan Gel implants thru a small incision in the fold of her breasts and placed under the muscle in a dual plane technique. Photos were taken 6 months after surgery. 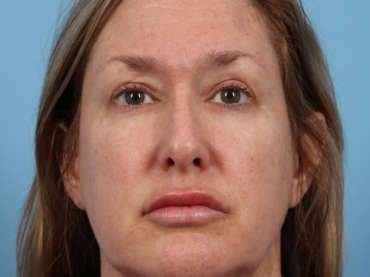 This 49-year-old women from Concord, NC wanted a more youthful and refreshed appearance so she underwent an upper eyelid lift (blepharoplasty) by Dr. Augenstein.